Sookie Stackhouse is a small-time cocktail waitress in small-town Louisiana. She's quiet, keeps to herself, and doesn't get out much. Not because she's not pretty. She is. It's just that, well, Sookie has this sort of "disability." She can read minds. And that doesn't make her too dateable. And then along comes Bill. He's tall, dark, handsome - and Sookie can't 'hear' a word he's thinking. He's exactly the kind of guy she's been waiting for all her life. He's a vampire. Worse than that, hangs with a seriously creepy crowd, with a reputation for trouble - of the murderous kind. I started out reading Fantasy books before anything else, so naturally Vampires were going to appear in my reading habits at some point. Vampire books have come and gone (with some favourites in there) but True Blood has to be one of the most well-known and highly rated of them. So, for my Halloween Week of Horrors, I decided Vampires was on the list! And I delved into Sookie's story and everything Bon Temps. Sookie Stackhouse is your normal, small town girl with a regular job as a cocktail waitress. Except, well...she isn't quite normal and this isn't just any old small town. She lives in Bon Temps, where some Vampire behaviour is about to come rolling in. And she's not that normal either - Sookie can read minds - and the craziness doesn't end there. Sookie had been waiting for a Vampire to come into the bar she worked for a long time, and one night, Bill does. He's everything Sookie thought a Vampire would be; pale, beautiful and ordering the synthetic blood that had been manufactured since the years of the Vampires coming out of the coffin, as she put it. So when Bill gets himself into a little trouble, Sookie is quick to come to his defence when she has the upper hand of her mind-reading abilities. So Bill isn't too hasty to want to repay the favor. Soon enough, Sookie and Bill are hanging out like normal friends do. He's helping her Grandmother and she's liking not having to hear his thoughts. It's undeniable that they like each other, but when murders start happening in Bon Temps, there isn't a finger that isn't pointing to the new Vampire in town. So being the wise and charismatic character she is, Sookie decided to solve the case herself. But she was going to need Bill's help, seen as their friend status was moving forward to dating. And when Sookie's friends and family start getting roped in to the murders in town, she can't just stay silent anymore. She had to find out who or what was killing the people she knew. Dead Until Dark was one of those books you can't put down, not even if you wanted to. 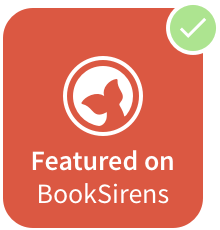 With Sookie's charm and the book's lively, gothic and enchanting small-town descriptions, I was reeled in to the dark and mysterious world that Charlaine created. I loved the way the Vampires weren't your run-of-the-mill type and that Sookie was actually a one-of-a-kind character. Her point of view was interesting and smart, so much so that she was even funny in the way she thought about Vampires and made jokes. So it wasn't all dark, there were some romantic, funny, heart-pounding moments thrown in. And I loved every second. 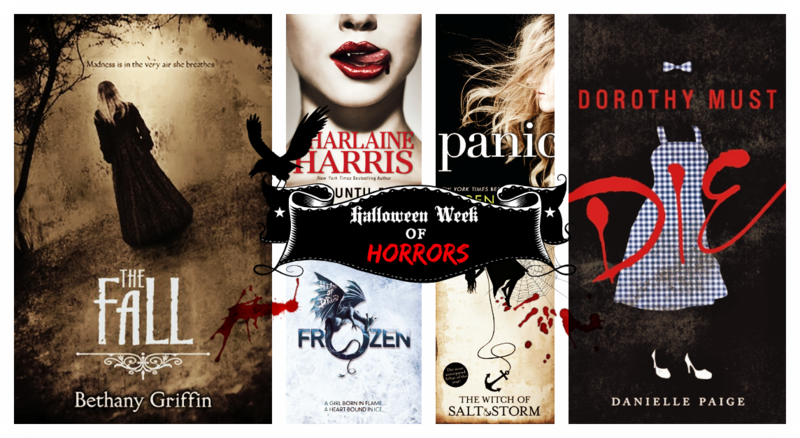 Sophisticated, compelling and electrifying, Dead Until Dark is one Halloween read you don't want to miss. 5 stars all the way. I think my favourite part would have to be the the final few chapters of mayhem and madness, where the story is unfolding piece by piece. Fans of Vampires, Fantasy and Paranormal things! Have you read Dead Until Dark? Love your review. 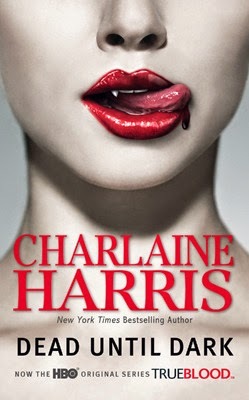 I haven't read this one but I did watch a few episodes in season one of True Blood and enjoyed it. Life got in the way and I wasn't able to continue with the series but will catch up one day, as I intend on catching up on the books.